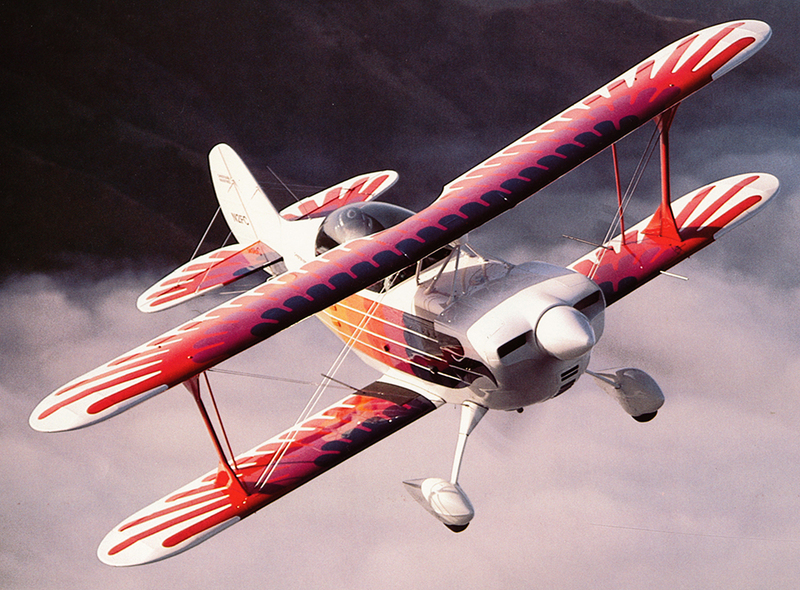 The Christen Eagle was designed by Christen Industries founder Frank Christensen, EAA Lifetime 36663. Frank was an aerobatic pilot and manager of the U.S. Aerobatic Team that won the 1972 World Aerobatic Championship. The Christen Eagle I was built specifically for the Eagles Aerobatic Team. This single-place aircraft was never available in kit form, but was used to promote the Christen Eagle line of aircraft. The model offered as a kit was the Christen Eagle II, the two-place version of the design. This aircraft represented a departure in several ways from previous kit planes designed for the homebuilding community. The Eagle II combined professional design with factory-quality parts. 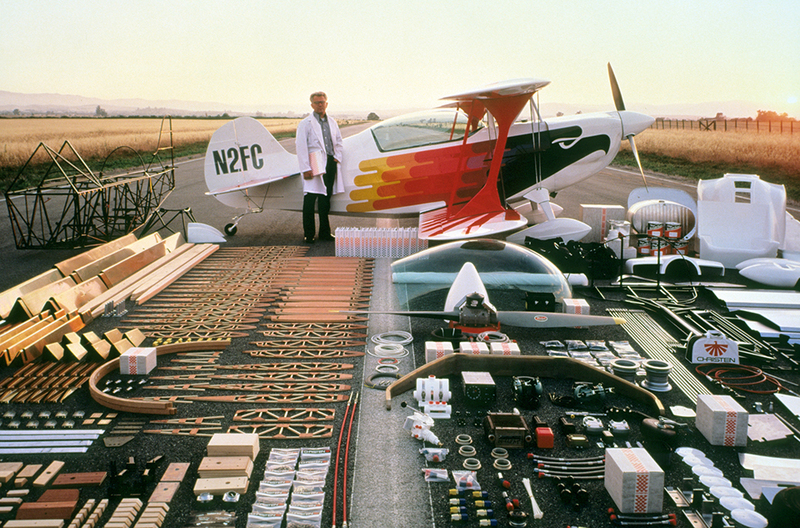 The resulting kit raised the bar for aircraft kit manufacturers. It was one of the most complete airplane kits ever marketed. 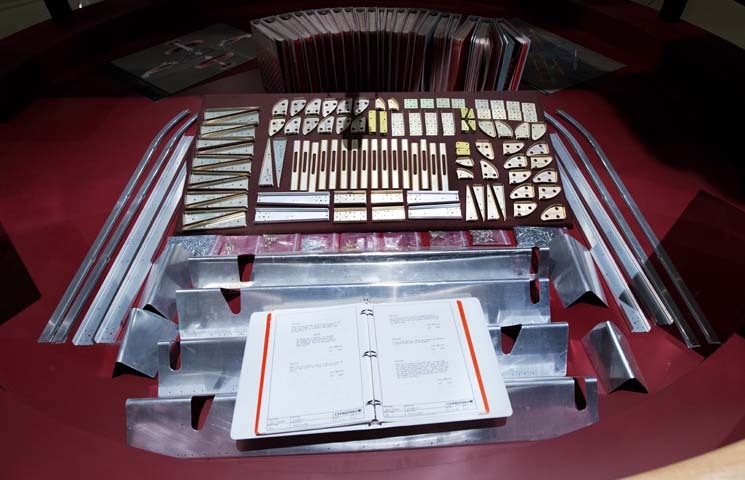 Included in the Eagle’s kit were tools, jigs, factory-welded assemblies, finished fiberglass moldings, and a 30-volume set of construction and flight manuals; in short, all the parts, materials, and information necessary to build the Eagle. Each component kit even included a razor blade to open the packaging. 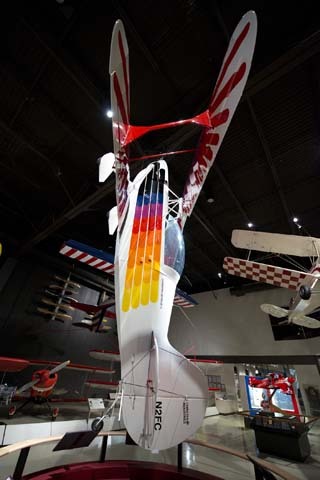 The original Christen Eagle II prototype, N2FC, stands on its tail in a striking vertical display in the EAA Aviation Museum. 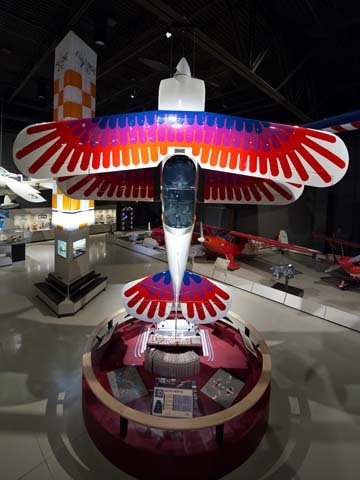 The proud centerpiece of the museum’s Air Racing and Aerobatics gallery, the first Eagle stands above an exhibit that details its history, and, in particular, the impact that the airplane had on the homebuilt kit industry. 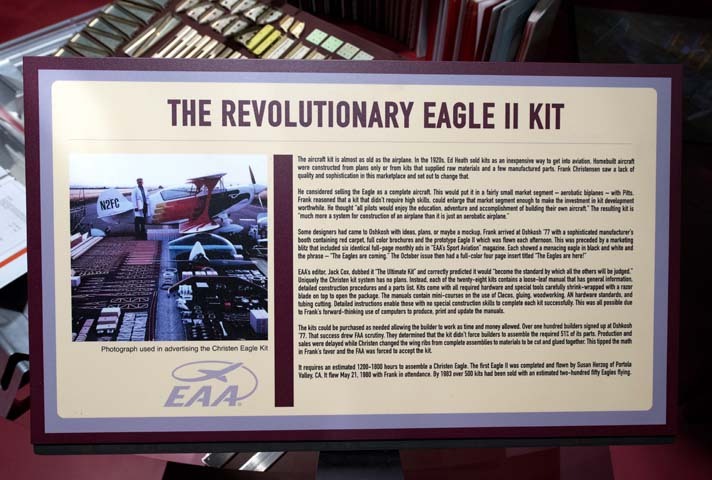 The exhibit shows sample parts from an Eagle kit along with a collection of bound instruction manuals like those that have made the airplane an attainable build project for more than 40 years. Frank Christensen donated the airplane to EAA in 2011, and the exhibit was officially unveiled in December of 2012, when Frank was the featured speaker at EAA’s annual Wright Brothers Memorial Banquet.